Photographic prints are professionally printed on Lilford Galerie Prestige Photographic Papers with a standard archival value of 100 years in home display, or 200 years in dark storage. A coating have been added to provide additional protection against UV exposure. Prints should never touch glazing directly. It is recommended that a UV coated glass is used for an additional layer of protection. Mounting board is buffered with calcium carbonate for an alkaline reserve and will resist fading, discolouration and embrittlement. Manufactured to museum quality standards. All of KLD Photography's clients will receive a USB drive whether you have had a wedding photographic experience or a portrait experience. 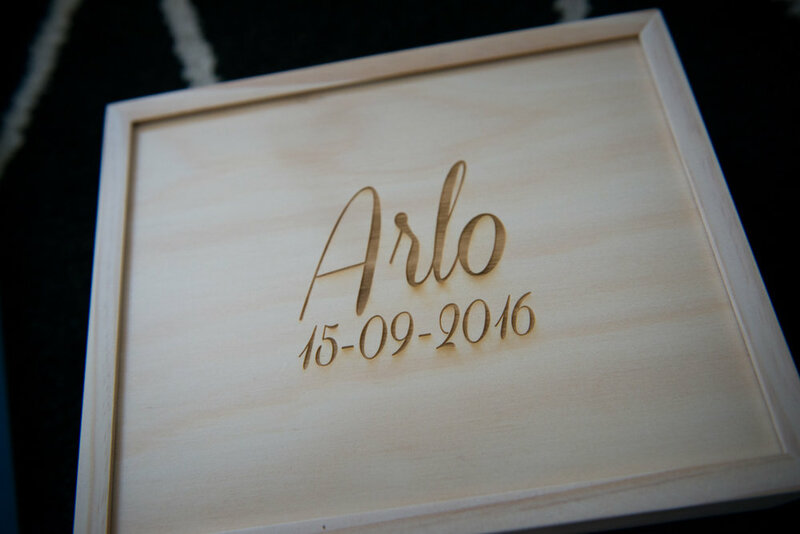 Our wedding clients receive a crystal USB with a customised KLD Photography logo and portrait clients receive a beautifully wooden boxed USB. Please remember that files can easily corrupt and flash drives can stop working without warning. For this reason it is recommended that copies of your images are kept on at least two other devices as a backup. Fine Art Canvases are professionally printed on a 380gsm Fine-Art Cotton/Poly Blend Canvas with a standard archival value of 100years. They are coated with a semi-gloss lacuer for additional abrasion protection and to filter out UV light. is material is perfect for reproducing hand-painted images as well as photographs, graphic art and anything in-between. 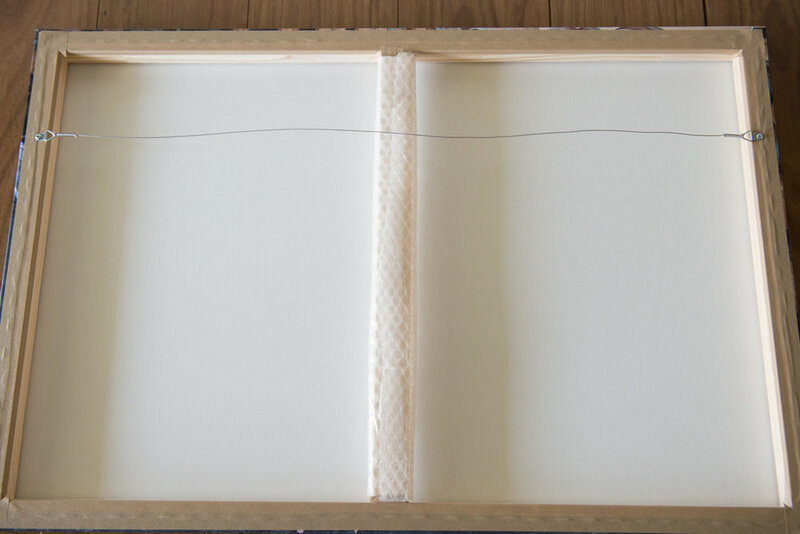 The coating we use on our canvases means you can stretch your canvas cleanly using wooden stretcher bars without seeing any cracks or excessive distortion. Use a soft cloth or wool duster to clean. 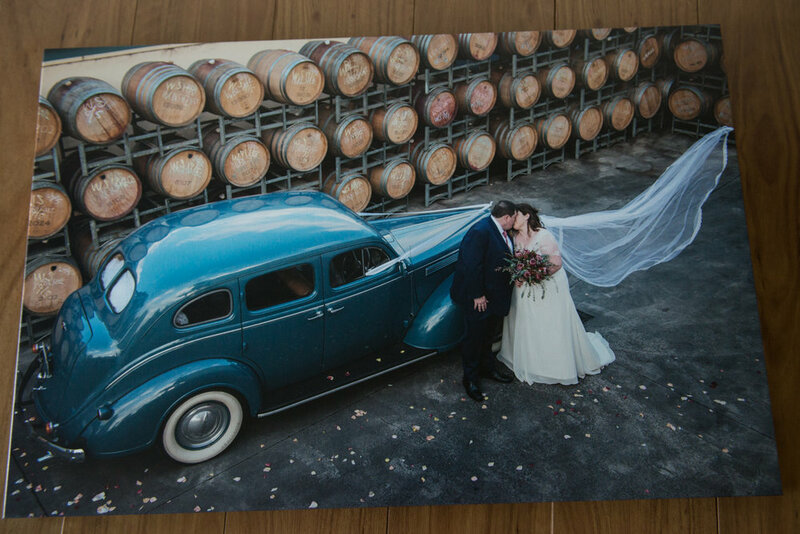 All our albums at KLD Photography are hand made in Australia. The paper is lustre paper and are creased down the centre of the page ensuring a lay-flat design that provides an uninterrupted view of each album spread. The thickness of each page is approx 1mm think. 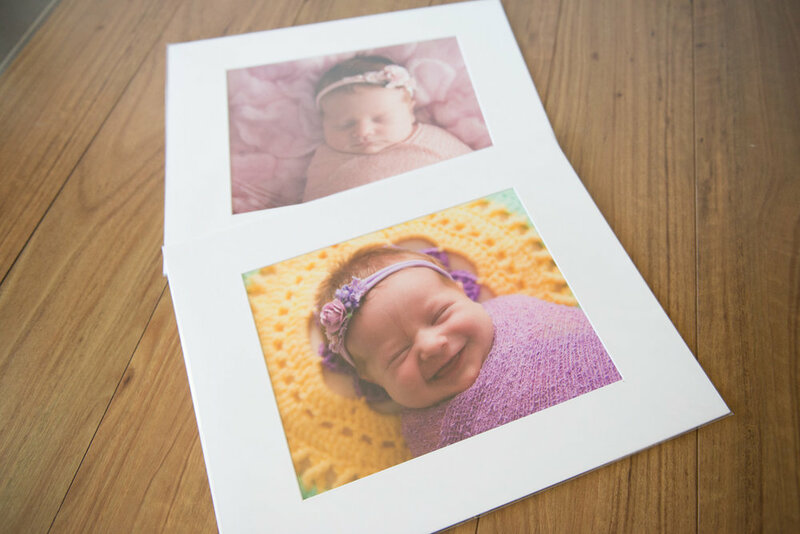 We have a wide variety of different album coverings you may choose from. All wedding albums come in a beautiful Boutique box which also has a space on the side to store your USB that your digital files come on. Store albums in a temperate controlled and humidity controlled environment. Use a soft cloth to gently remove finger prints. Please avoid any solvents and water which could cause damage. These albums are custom designed to suit what you would like and how you would like to showcase your wedding photos. Please check out my page which will show you the layouts of some of the previous albums I have designed for other weddings. The print is mounted on the wood, using techniques designed to eliminate any bubbling or warping of the print. The edges are hand sanded for a beautiful rustic style and we then seal the image for protection. The sealer we use is actually a fine art varnish, in a matte finish. It is normally used as a museum grade varnish for acrylic artworks. The varnish contains Ultra Violet Light Stabilisers (UVLS) to help reduce inevitable UV fading and damage. It also protects the artwork from dust and moisture damage.The surface of the block can be dusted with a soft cloth, and even gently wiped with a slightly damp cloth. However the sealer is not hard like furniture varnish, but a flexible polymer, so it WILL scratch if something is dragged across it. 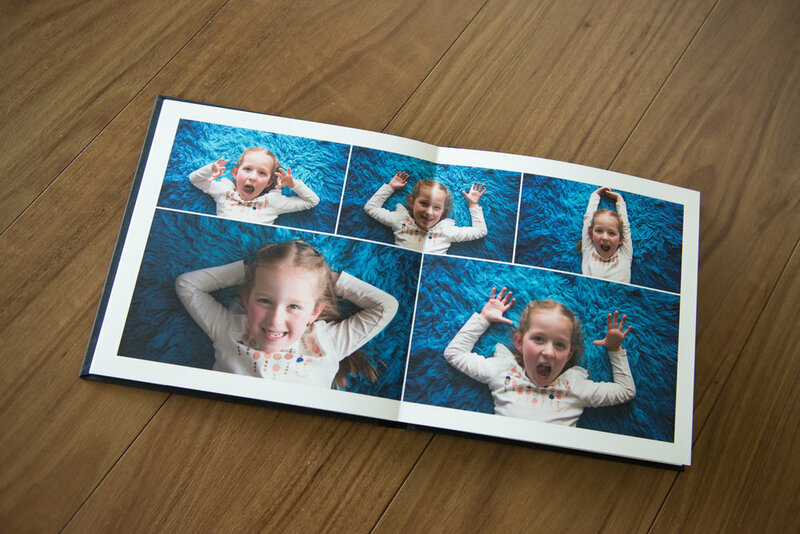 Our 4×6 Timber Photo & Media Box is designed to showcase your full gallery from your portrait session in a 4x6" Print. Also includes your USB as well as a little special treat. Individually handcrafted with premium sustainable timber, these boxes are an elegant and timeless photography. 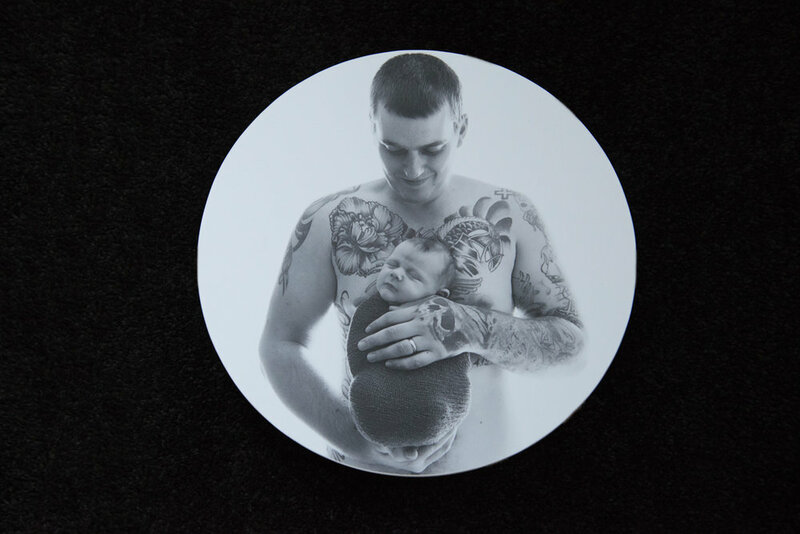 These keepsake boxes allow you to have a printed version of every photograph from your gallery to share with your family and friends and allows you to keep them safe. This option can be discussed for wedding photographs but please be mindful that only 50 photographs can fit in the Keepsake box. Printed on gorgeous Signature Fine Art matte paper, Portrait Books are creased down the centre of the page ensuring a layflat design that provides an uninterrupted view of each album spread. They feature our "skinny" page option (approx .5mm) certainly not paper thin, but a little bit thinner than our standard Boutique Books pages. 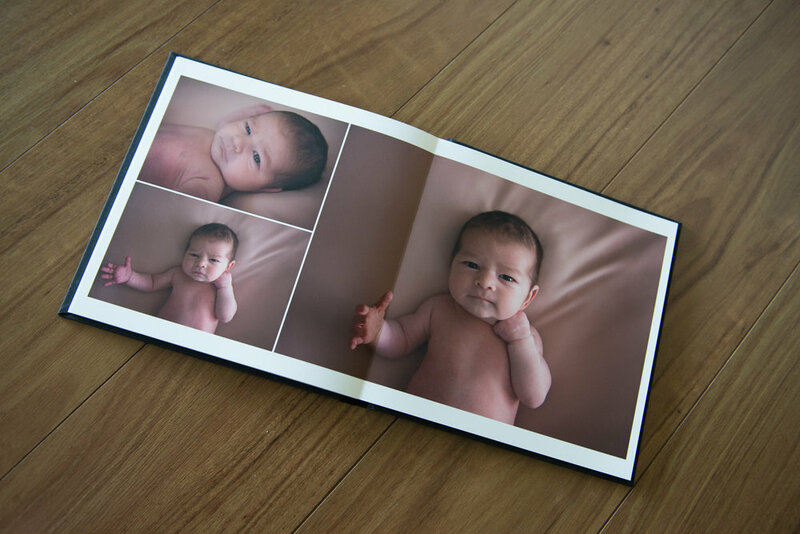 Your portrait book will come in a black presentation box with black wrap. These albums are custom designed to suit what you would like and how you would like to showcase your wedding photos.